This the Umi from DELTAt. 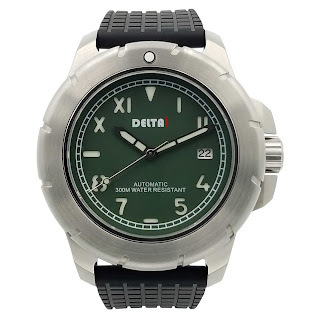 It features a 44mm in diameter by 15mm thick Stainless case with vintage military-style sterile divers bezel. 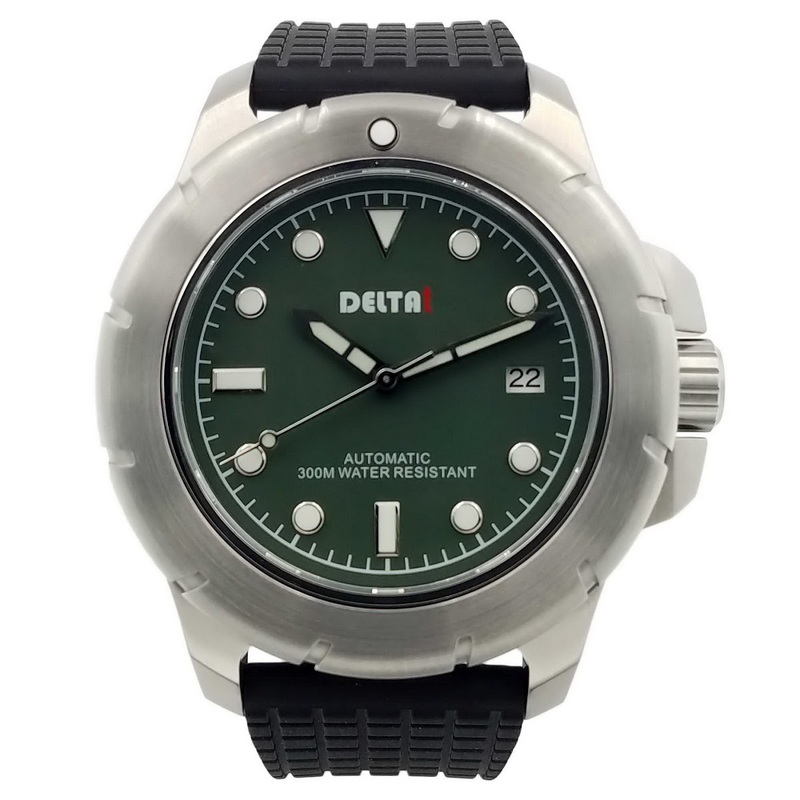 It comes in a collection of no less than 21 different variants that I include: 2 case finishes - brushed steel or black PVD, three dial colors – black, blue or green and sandwich dial configurations – California, professional or Arabic and baton. Divers features of the Umi include: a Sapphire Crystal with anti-reflection coating, a see through screw-down 316L Stainless steel caseback cover with Sapphire crystal, a screwdown crown, a 120-click unidirectional rotational divers bezel with single luminous pip at 12hr, and 300m of water-resistance. 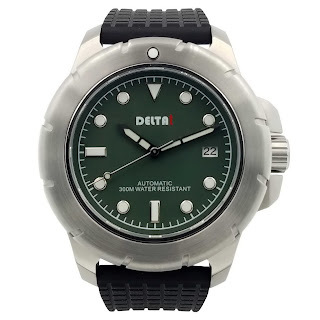 Power comes from a Japan Time Module Seiko Cal. NH35A automatic mechanical movement with 24 jewels, a beat-rate of 21,600 vibrations per hour and power-reserve of more than 41 hours. 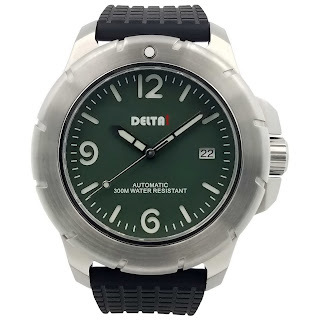 The NH35A has both manual and automatic winding as well as a hacking seconds’ hand. 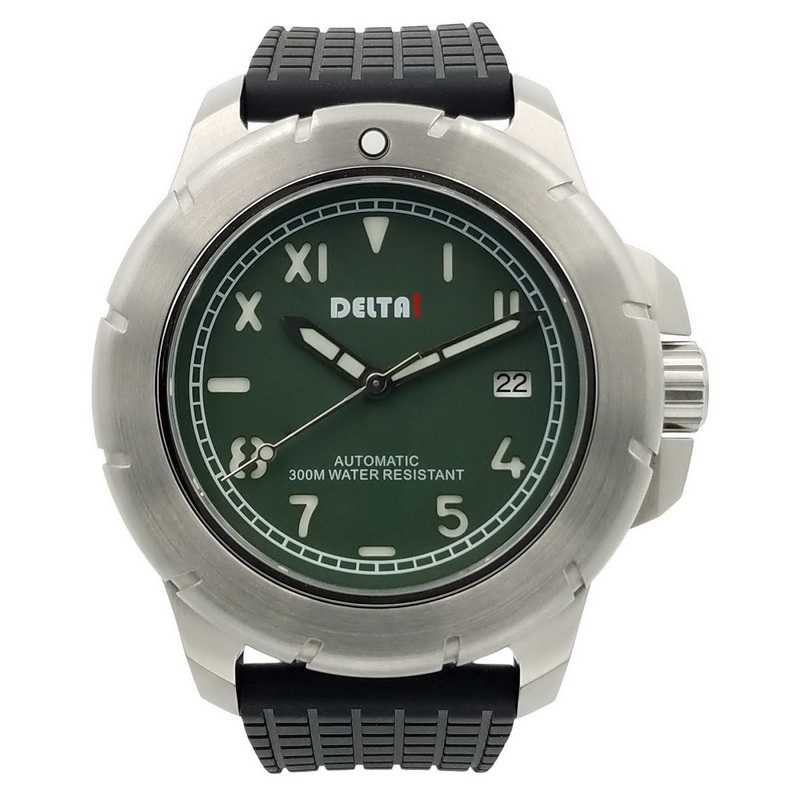 The Umi comes in a dry-box along with some additional straps that includes a para-cord strap with integrated compass. It is priced 480USD. Follow the link embedded, below for more information or HERE for live images of the Umi U-741 with its PVD case and black California dial. 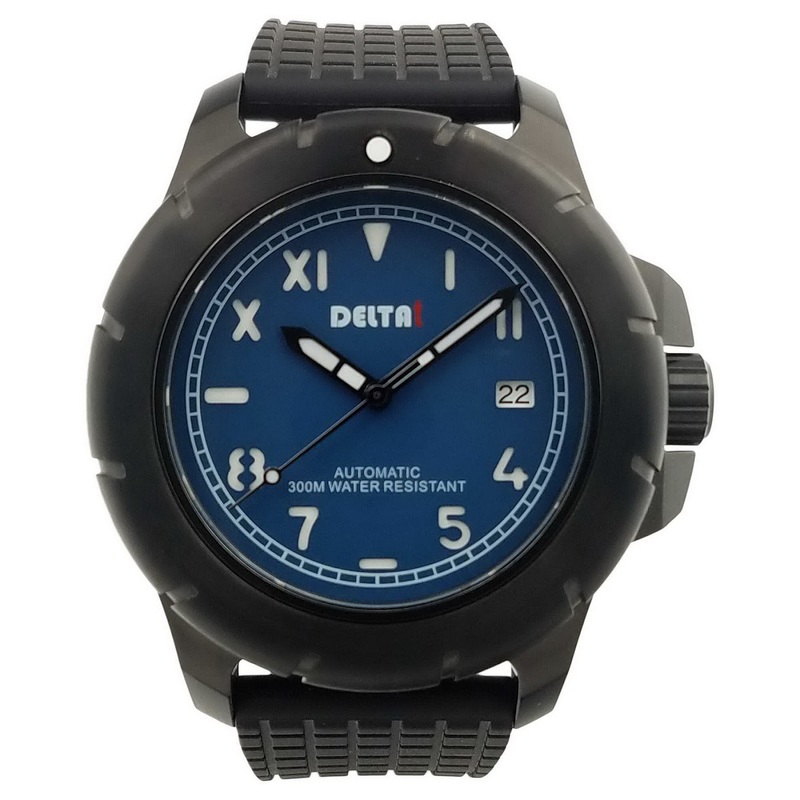 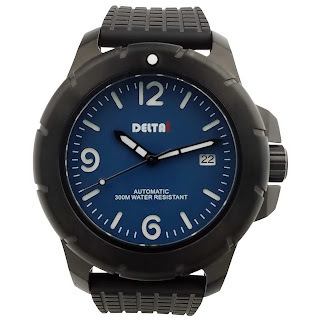 Looking from something totally different in a dive watch, check out DELTAt’ NBS MKI – CNG.